In order to release his kidnapped sister, sports car mechanic Chan Foh To (Jackie Chan) has to beat a supercriminal street racer. Ah Keung: Don't ever make trouble here. Or I'll beat you up each time. Careful, mind the step. Q: Is there a longer version available than the R-Rated theatrical version? This was the first film I saw of Jackie's (first one released in the US that I can remember despite The Protector and The Big Brawl in the 80s) and I have to say it's a great introduction to Chan's work. The fighting is great and well shot while the stunts are amazing. The humor (a Jackie trademark) is also hilarious. People from the US really don't know what a good martial arts film is. Some have grown up with Bruce Lee and it's appreciated but many of them are constantly renting Van Damme and Steven Segal films (working at a video store, I see it all the time). Seeing someone who really is impressive at martial arts, dosen't need fast cuts and choppy editing, and does his own stunts puts all the Van Damme's and Segal's to shame. Take the warehouse fight for example and compare it to any American martial arts film and you will see the difference. For those who haven't seen this film yet and love martial arts films - rent this movie. For those who have seen it and want to see more Jackie - I recommend Drunken Master I and II (II is very hard to find in the US), The Young Master (great final fight), Who Am I? 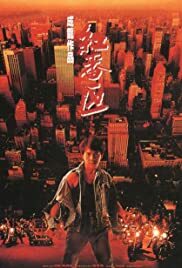 (unbelieveable stunts), Police Story I, II, and III (all around Jackie Chan films, III is known in the US as just Supercop), Operation Condor (tons of martial arts), and Project A I and II (II is another hard to find one in the US). You may also want to check out Rush Hour and Shanghai Noon - they aren't as good as the ones listed above but they are entertaining and Jackie Chan films nonetheless. As for Rumble In The Bronx, make it your first Chan film.